I have seen Bolt Action in stores few months ago. I thinks it’s time to give it an opportunity. 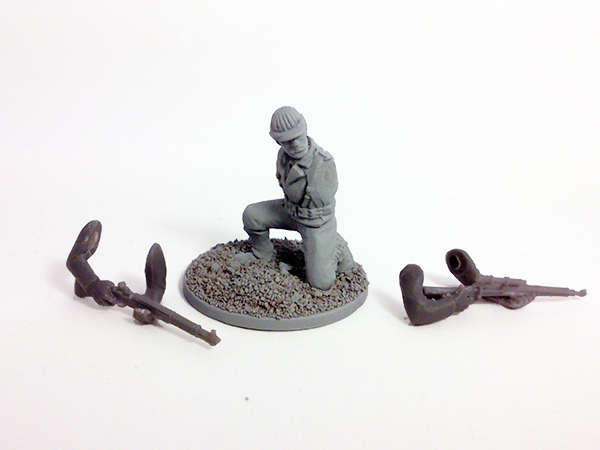 World War II in 28mm from the hand of Warlord Games, nothing more to say. I decide to start with the US Army because two reasons. First of all: Stuarts! That small tank is my favorite one. So that reduce the options down to two, US or British. The second reason is the box Assault on Normandy. Inside this box you are going to find a lot of American infantry (and also German infantry). 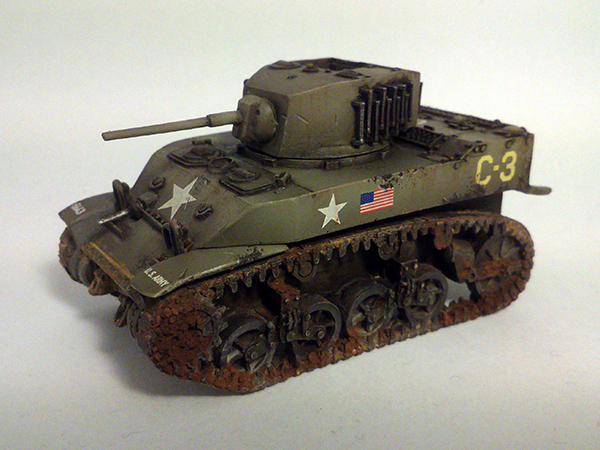 To start my army the first option, of course, was the M5A1 Stuart from Warlord. 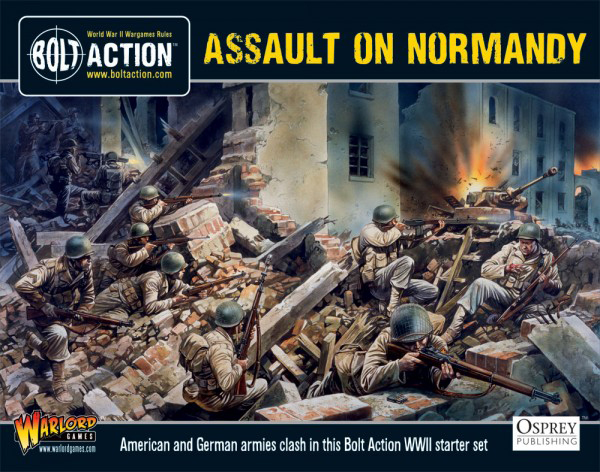 Next step was the Bolt Action starter set Assault on Normandy. Now, with 20 models in my hands is time to make some combinations with the weapons and options. Finally I decide to make two basics squads, a sniper team, a bazooka team and the command team. – 1st Liutenant with additional man (Veterans). 103 pts. – 1st Infantry Squad, 7 hombres (Veterans). 99 pts. 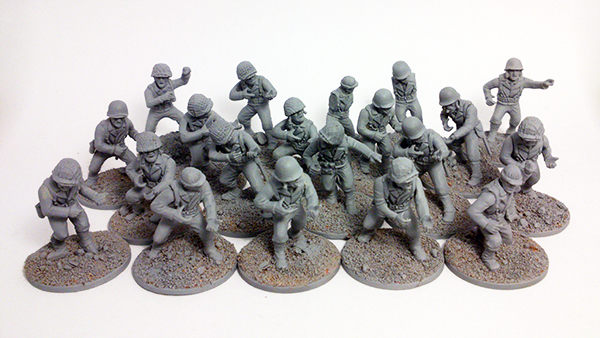 – 2st Infantry Squad, 7 hombres (Veterans). 99 pts. – Sniper Team (Veterans). 65 pts. – Bazooka Team (Veterans). 78 pts. 444pts. in total. Enough to be the core and all created with the 20 miniatures from Assault on Normandy. To handle the question of the different equipment options I opt for use neodymium magnets. 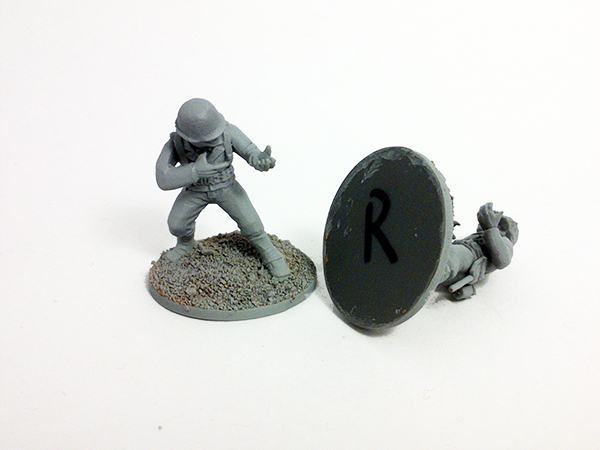 In those miniatures with fixed arms I leave the weapon unglued to facilitate the painting job. After a few hours, I finally had the core of my US Army ready to start the painting job. I’d love to see an update on painting this army! Hello! Thanks for you interest!